Gendered processes of globalisation, transnationalisation and urbanisation are increasing local and global inequalities and widening the gap between the rich and poor. The global finance industry plays a key role in these processes, directing its operations from local command points in global cities such as London. 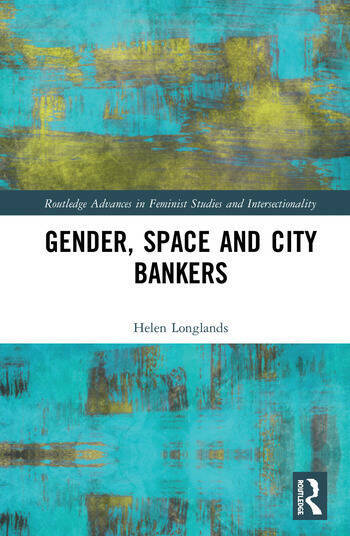 Drawing on empirical data collected since the 2008 financial crisis – interviews with male City of London bankers, who are also fathers, and their wives, observational data of work and family spaces, and banks’ promotional online material – this book explores the day-to-day individual and institutional social practices of wealthy City bankers and banks. The book’s analysis offers insight into how the spaces of work and home are integrally linked in ways that mutually shape, support and sustain the gendered dominance of the industry and its highly paid workers. Introduction: Global Finance and the Inequality of Hegemony. 1. Life in the City: Space, Place and Inequality. 2. Inside the Boys’ Club of Global Finance. 3. Gender, Space and Family. 4. Exclusive Communities. 5. A Community in Crisis Redundancy and the Game of Elite Finance. 6. Conclusion: The City in Reflection. Dr Helen Longlands is a Lecturer in Education and International Development at UCL Institute of Education, University College London. Her research interests are interdisciplinary and centre on issues relating to gender, inequalities and social justice, particularly men, masculinities and transnational relationships and structures of power.